The Sibley County Recorder's office, which provides birth records starting in 1869, death records in 1870, and marriage records which begin in 1863, welcomes genealogy researchers who wish to visit the office and explore the records the office has on file, most of which are open to the public. Appointments are not necessary to perform research at the office, which is open Monday through Friday from 8:00AM till 4:30PM. 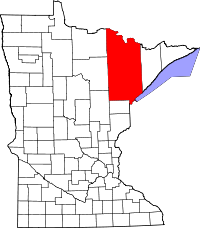 For those who are unable to visit in person, research requests which include the needed details, such as name and type of research you need, can be mailed to the Sibley County Recorder, PO Box 44, 400 Court Ave, Gaylord, MN, 55334. The $20 per hour research fee with must be sent along with the request; staff will refrain from beginning any research until they receive prior payment. Certified and uncertified copies of records are also available at the office upon completion of the appropriate application.